More than 100 people gathered to celebrate Akron Children’s new location for its Warren pediatricians’ office. Open house guests in Warren came ready to celebrate the addition of an Akron Children’s Hospital facility in Trumbull County, but I don’t think they were prepared for what they saw. 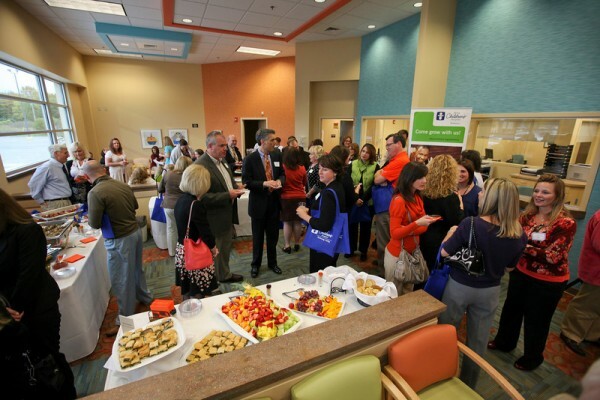 A former grocery store was transformed into a pediatric primary care wonderland, and you could see the excitement on the faces of all attendees. 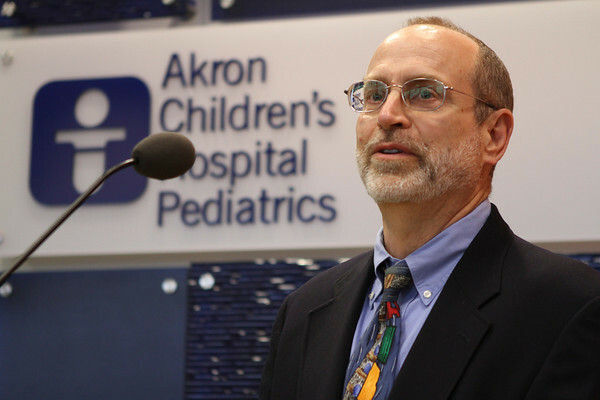 The doctors and staff of Akron Children’s Hospital Pediatrics (ACHP) Warren could not be more pleased and proud of the outcome. From the street, ACHP Warren has an impressive presence in The Market Place on East Market Street resulting in questions about the facility offering more services than primary care. There is shell space next door, but no plans have been made for it. Many attendees commented on how beautiful the inside is too. The nearly 10,000 square-foot facility features a bright color palette, fun fabrics on the furniture and artwork created by school children. The practice now has five pediatricians, a nurse practitioner and total staff of more than 20. More than 100 patients are seen each day, but you would never know it in this spacious office. Twenty exam rooms organized in pods help improve staff communication and flow of patients. According to Dr. Gary Backner, convenient office hours are also attractive to busy families. “We have always been dedicated to seeing our sick patients the day mom or dad calls, so having six providers and extended office hours will help us more easily do this,” he said. The practice joined ACHP in November and was started as Pediatric Care Associates more than 18 years ago by Dr. Backner, Dr. K. Gurumurthy and Dr. Amy Rice Young. They welcomed Dr. Angela Pettenati in 2005, and in July, Justin Kahn, MD, and nurse practitioner Candace Horvath joined the team. Watch the story on WFMJ about the new office building.